Private Yacht Chartering | Let's Go for a Trip! Are you looking for a vacation on the water? If you are, besides taking a cruise, you can choose to charter a private yacht. When chartering a private yacht, you are given your own personal yacht, for a specific period of time, as well as your own yacht crew. There are many activities that you may be able to participate in when on a private yacht.In the United States and all around the world, there are a number of private yacht chartering companies. You need to remember that each of these companies operate under different rules, restrictions, and guidelines. Always remember that just because one particular private yacht chartering companies allows you to participate in a particular onboard activity it doesn’t necessarily mean that another one will. It is therefore important that you first ask if it is available or allowed. Another popular reason why some people choose to charter a private yacht is so that they can enjoy scuba diving or snorkelling in a private setting. It is common for the private yacht company to request that you show proof of your scuba diving certifications. Aside from fun, off-board water activities, there are also a number of activities that you should be able to enjoy or participate in right aboard your yacht! Many yachts come equipped with televisions and radios. You may enjoy spending an evening watching a movie or dancing the night away. In fact, the deck of a private yacht makes the perfect backdrop for a romantic evening of dining and dancing. Before you get your heart set on chartering a private yacht, you should find out the cost and whether you can afford the cost of doing so. Besides the cost, you need to know the payment terms as well. Most yacht chartering companies require a deposit upfront. This deposit tends to be a predetermined set amount or a percentage, like fifty percent, of your total bill. To determine the approximate cost of doing so, you are urged to contact a well known yacht chartering company for additional information. One of the most important factors that you need to take into consideration, when choosing a private yacht chartering company is the area or areas serviced. Not doing so may mean being stuck with a private yacht in an area of the world that you weren’t planning on visiting. Another factor to consider is availability. 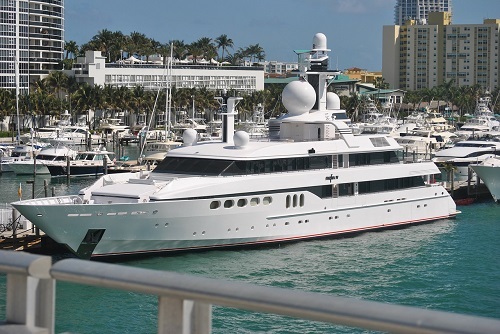 Over the years, the popularity of private yacht charters has increased. More individuals, couples, families, and friends are making the decision to charter private yachts. In fact, many see it is an appealing alternative to taking an overcrowded cruise. For that reason, you may find it somewhat difficult to find a yacht chartering company that has a private yacht available. This is most often seen in popular vacation months, such as late spring or summer. Of course, there is an easy solution to this; make your reservations in advance. As soon as you decide that you would like to charter a private yacht, you are urged to find the perfect company and then book your reservations right away. Cost is another factor that needs to be taken into consideration, when it comes to choosing a private yacht chartering company. Yachts come in all different sizes, shapes, and styles. If you are looking to charter a private yacht, but you are on a budget at the same time, you will want to find the cheapest chartering arrangement that you can find. The next factor to consider is reputation of the private yacht chartering company. You can easily determine whether or not a particular yacht chartering company has a good reputation by speaking to those that you know or by using the internet. When looking into the reputation of a private yacht chartering company, it is important to note that no one is perfect. It is not uncommon to find a few negative comments or reviews, but be cautious of any yacht chartering company that has an established reputation, particularly a bad one. While the chartering of a private yacht can be fun and exciting, it is also important that you place a focus on safety. When on a privately chartered yacht, you are literally at the mercy of the waters and your yacht crew. Although it may seem like the situation is out of your hands, there are a number of different ways that you can go about protecting yourself. The first thing you should do is to explore every inch of the yacht yourself or ask the crew to give you a quick tour, to know the ins and outs of the yacht. In the event of an emergency, this may come in handy. Next you need to know where the safety devices or supplies such as first aid kids are. All privately chartered yachts should come equipped with items like lifejackets or floatable rafts. While these items may help you in an emergency, you must first know where they are. It may also be a good idea to learn to how send out a distress signal in the event that anything happens to your yacht crew. Since you will, essentially, be vacationing on the open waters, it is advised that you and your tour mates know how to swim. If you do not consider yourself to be an experienced swimmer, you may want to think about taking a refresher training course. While the above mentioned safety tips may be able to help you stay safe, it is also important to remember that there are some circumstances that may be out of your hands. For that reason, you are urged to look into travel insurance, especially if you are planning on chartering a private yacht for an extended period of time.